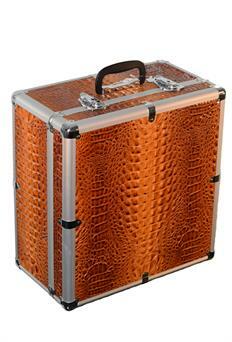 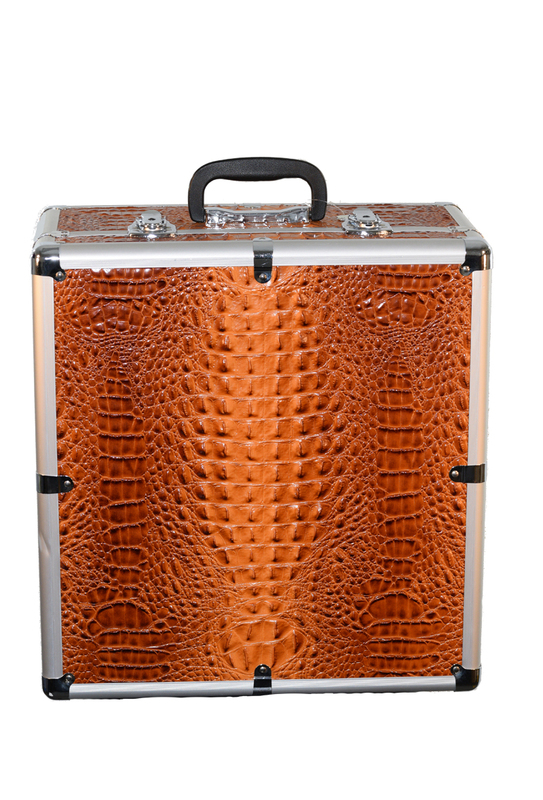 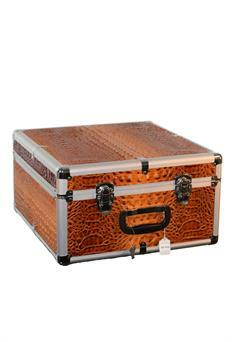 Carry your accordion around in style with a faux crocodile skin case. 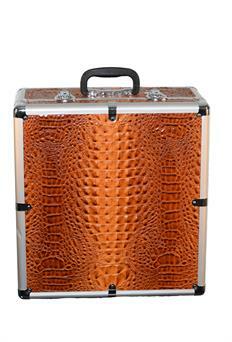 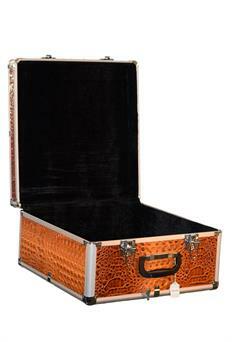 Metal frame with faux crocodile skin covered panels. 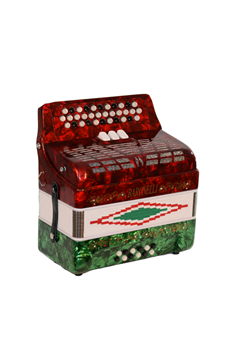 Fits most 34 button diatonic accordions. Outside Dimensions: 17" x 11" x 19"
Inside Case Dimensions: 16" x 8.5" x 17"